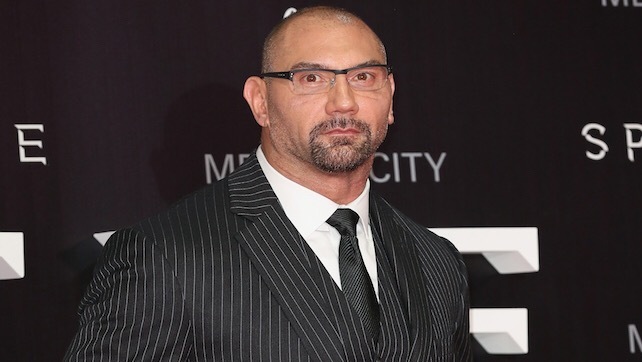 Home » Wrestling News » Dave Bautista Accompanies Filipino Boxing Great to Ring For Pacquiao-Vargas Event; What Has The Former WWE Star Been Up To? Dave Bautista Accompanies Filipino Boxing Great to Ring For Pacquiao-Vargas Event; What Has The Former WWE Star Been Up To? One of the all-time great Filipino boxers Nonito Donaire stepped into the ring tonight to defend his junior featherweight championship, and was accompanied by none other than former WWE Champion and rising actor Dave Bautista. Donaire was not the only Filipino great on the card, however, as the legend Manny Pacquiao looks to reclaim his welterweight title he lost to Floyd Mayweather last year, against Jessie Vargas. Bautista was last seen in a WWE ring back in June 2014, but has been making huge steps in Hollywood. As well as appearing in several lesser known independent features, the Marvel star will return for Guardians of the Galaxy 2 in 2017, and recently landed a role in the upcoming Blade Runner sequel, which is currently filming.